Have you ever heard the saying, “Love isn’t a big thing; it’s a million little things”? It’s a pretty popular quote that appears on many home decorations, cards and internet memes. As an exporter, my take is a little different—I think the line should read, “Export compliance isn’t a big thing; it’s a million little things.” And while it might not make for a lovely greeting card, it’s true—your export compliance responsibility isn’t a simple task. Export compliance is a nuanced, complex process that requires exporters to be aware of the scores of ever-evolving government regulations and requirements. In an effort to make understanding and obeying export compliance regulations a little easier, here are three epic fails in export compliance you should avoid at all costs. The Foreign Corrupt Practices Act (FCPA) prohibits paying bribes to foreign government officials, specifically to buy products or clear customs faster. It was passed in 1977 in response to several U.S. bribery scandals involving the Mexican oil company PEMEX and the Tanaka government in Japan. While criminal prosecutions under the FCPA were few and far between in the early years, that is changing—U.S. cases in the last two years have included Goodyear Tire & Rubber Company, Avon Products, Smith & Wesson, Hewlett-Packard, and Alcoa. It forbids U.S. companies, issuers or persons anywhere in the world, or foreign persons while within the U.S., from corruptly offering or paying anything of value, directly or indirectly, to a foreign government official, party or candidate in order to influence an official act or secure improper advantage to obtain or retain business. It contains accounting provisions, enforced by the SEC, which require companies to: a) keep books and detailed records that accurately reflect transactions and the disposition of corporate assets, b) devise and maintain an adequate system of internal accounting controls, and c) conduct a periodic review of recorded and actual assets. In other words, disguised slush funds set up or maintained for illegal bribes are not allowed. In one high-profile example of export compliance fails, in late 2011, Walmart disclosed it was “conducting an FCPA internal investigation concerning certain permitting, licensing and inspection issues in Mexico.” Since then, the retailer has spent more than $750 million on legal fees and compliance restructuring costs. While Walmart’s case is an extreme example of FCPA violation, the penalties can be substantial whether you’re a large multinational company or a small business. So, how can you minimize your company’s risk in violating the FCPA? Do a thorough investigation of all potential sales reps, agents and distributors. Include an FCPA clause in all contracts with agents, distributors and consultants (although this alone is not enough to foreclose an investigation). 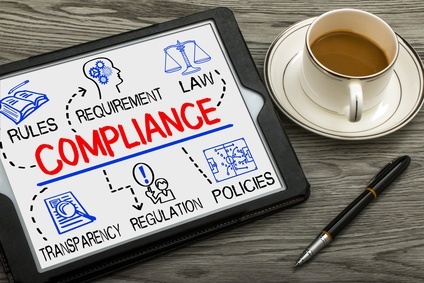 Ensure that your company policies include FCPA principles and educate staff, especially sales and accounting personnel, about FCPA red flags. A painfully easy way to get stuck in an epic export compliance fail is to hand off your responsibilities to partners like your freight forwarders. This previous blog article neatly sums it up: If You’re Relying on Your Freight Forwarder for Export Compliance, You’ve Probably Already Violated the Law. There are three things you need to remember and take into account in every transaction with a freight forwarder: You are the manager, you are the boss, and you are ultimately liable for your exports. You can take control of export compliance by choosing your freight forwarder wisely and maintaining control of and responsibility for your exports—and you can’t outsource liability. What’s the risk of handing off responsibility to your freight forwarder? According to the Bureau of Industry and Security (BIS), fines for export violations can reach up to $1 million per violation in criminal cases; in administrative cases, fines can result in a penalty amounting to the greater of $250,000 or twice the value of the transaction. In addition, criminal violators may be sentenced to prison for up to 20 years, and administrative penalties may include denial of export privileges. These penalties are almost always devastating for small and midsized companies. These situations can be prevented. Our white paper, What You Need To Know About Export Compliance, will help you identify other common areas you must consider to remain on the right side of compliance. In every export, you should always make sure you substantiate your choices and your reasons for making them. In fact, the most important thing exporters can do post-shipment is to keep a thorough paper trail of all exports. Comprehensive notes explaining why you (or your employees) made the decisions you made. For example, let's say you screened your export customer's name and address against the various restricted party lists, and you came back with partial matches. After reviewing those potential matches, you made the decision it was OK to proceed with the shipment. You should document and save the reasons why you decided it was OK to ship to this company. In some situations, demonstrating that you’re thinking proactively about compliance and legal regulations, keeping accurate records, and doing your due diligence throughout the process may be more important than being 100% correct in your outcome. Handwritten notes should also be filed with their corresponding shipments. How should you document your decisions? As a rule, paper copies work better than electronic. All handwritten notations must be saved and stored with corresponding files. We recommend printing hard copies of every file, note and document associated with your shipments, but if you can’t, you must at least scan in your paperwork and keep an electronic file. Shipping Solutions software makes it easy for you to not only complete your documentation, but to save and print every export form (including notes you may have on individual transactions). You can try it out for free by clicking here. To learn more about how to successfully carry out the export documentation process in your company, check out our articles 5 Best Practices for Organizing Your Export Documentation and 3 Key Steps for Planning for an Export Compliance Audit. The Department of Commerce’s Bureau of Industry and Security (BIS) has published a book, Don't Let This Happen to You, which outlines exporters' compliance responsibilities and includes real-life examples of penalties they have recently issued against individuals and businesses. It’s a must-read, and you can get it for free by clicking below.